The insurance and reinsurance industry is already facing an $11 billion bill for U.S. severe convective storm losses suffered during the first-half of 2016, as tornadoes, hail and straight-line winds impacted the country, with Texas particularly hard hit. Severe convective storms, or severe thunderstorm related weather, has been a driver of significant insurance and reinsurance industry losses across the United States in recent years. 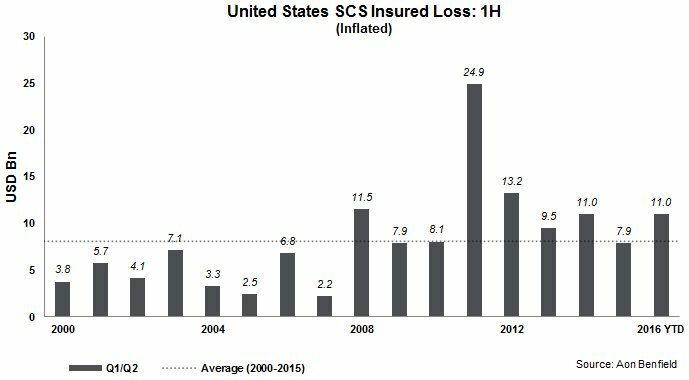 It’s an increasingly important peril and source of loss for the insurance-linked securities (ILS) market as well, with catastrophe bonds regularly providing coverage, while private ILS and collateralized reinsurance are often on a multi-peril basis covering convective storm risks along with other perils. For ILS investors exposure to losses from convective storms has been on the rise, particularly as the reinsurer owned sidecars and ILS funds have grown bringing an increasing amount of third-party capital into vehicles exposed to this peril. 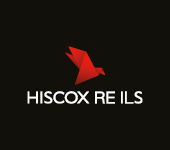 2016 is once again set to see severe convective storms as one of the main drivers of loss for the insurance and reinsurance industry across the year, it seems. Steve Bowen, Director at Impact Forecasting, the risk analytics arm of reinsurance broker Aon Benfield, commented to Artemis; “Insured losses from this year’s severe convective storms in the United States continues its northward trajectory. The chart below, from Aon Benfield, shows first-half severe convective storm losses since 2000, with 2016 above average and among the five worst years for insured losses. Bowen explained that the above average losses is not due to an increase in reported storms, but rather the location of severe convective weather in 2016 is set to result in higher impacts for insurance and reinsurance carriers. 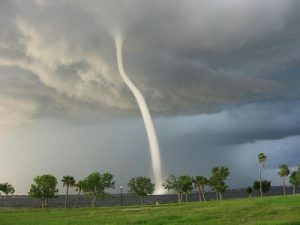 “Most of the losses have been attributed to hail and straight-line winds; particularly in Texas. We have not necessarily seen an uptick in the number of storm reports this year, but the events have occurred over densely populated areas. This just reinforces the notion that the frequency of storms does not always automatically correlate to specific loss values. It’s all about the location and intensity,” Bowen explained. Exposure to the U.S. severe thunderstorm and convective weather losses has been seen at a number of ILS funds and strategies, it is understood, with a number of managers reserving for small losses as a result of the development of the insurance and reinsurance industry hit. The aggregation of convective storm losses, alongside the severe flooding, Canadian wildfires, losses in Japan and elsewhere, are set to cause some impact to a number of ILS vehicles, collateralised reinsurance sidecars and other third-party capital backed insurance-linked investments. With the worst of the convective storm season likely passing, as June is typically considered after the peak, the aggregation of severe convective storm losses could slow. However, as Bowen notes, it’s not the number of convective storm reports that matters, rather the location, when it comes to insurance industry impacts. You can track severe thunderstorm, tornado and convective weather warnings and activity over on our dedicated page. – Outsized insurer cat losses suggest higher Texas hailstorm costs. – Latest storm may push Texas hail insurance losses over $3bn. – March US thunderstorm, hail, floods insured loss estimate $2bn: Aon.